Stadio fono MM/MC High End. Circuitazione Dual Mono bilanciata. Componentistica selezionata. Impedenza, capacità e guadagno d'ingresso variabili. Equalizzazioni RIAA e Decca. Ingressi e uscite sia RCA che XLR. Filtro subsonico. Mute. Chassis antimagnetico in estruso di alluminio. Consumo in standby meno di 1Watt. Dimensioni: 200x72x194mm (LxAxP). This ultra low noise and distortion preamplifier is made for the audio conniosseur and offers not only breathtaking performance but is capable to adapt to virtually any phono cartridge through variable impedance control. Impedance adjustment can be done while playback! 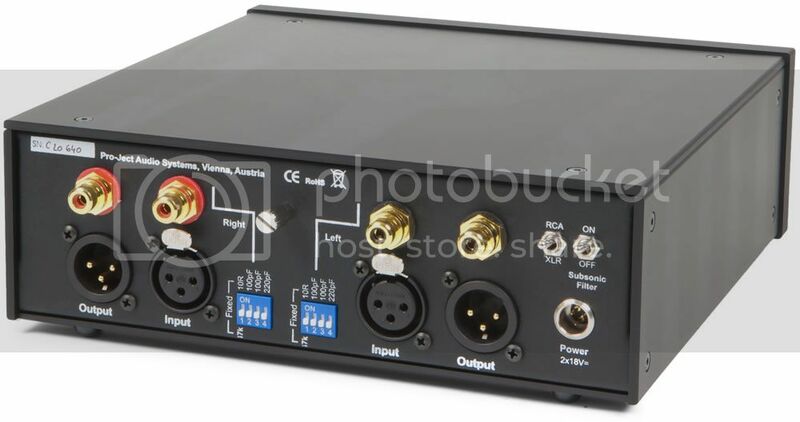 Due to use of best parts, like SSM2019 from Analod Devices as input stages and Linear Technology LT1010 as high current buffer stage, Phono Box RS delivers ultra low levels of distortion and noise. Its very low output impedance makes it insensitive to selection of interconnect cables and lenghts. Fully passive RIAA and DECCA equalisation is selectable. 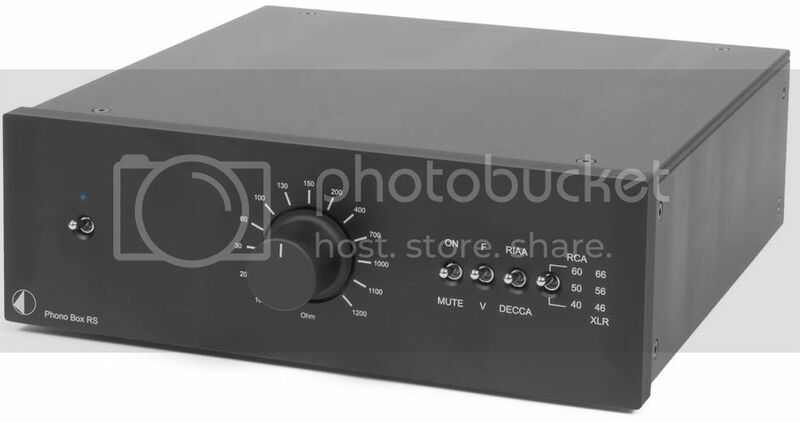 Phono Box RS offers fully balanced circuitry and both XLR and RCA inputs and outputs. All in all vinyl playback will never have sounded as clear, detailed and smooth, than with this superlative phono stage! Trattiamo tutti i prodotti a catalogo PRO-JECT AUDIO,qualora non trovate ciò che cercate non esitate a contattarci,grazie.